This patch will update your RetroN 5 unit, shortening the amount of time the you must hold the POWER button in order to turn on the unit. This patch only needs to be installed once; after it has been installed then the change is permanent. WARNING: Although we have endeavoured to test this update as much as possible on several systems, as yet we are unable to assure that it is bug free. 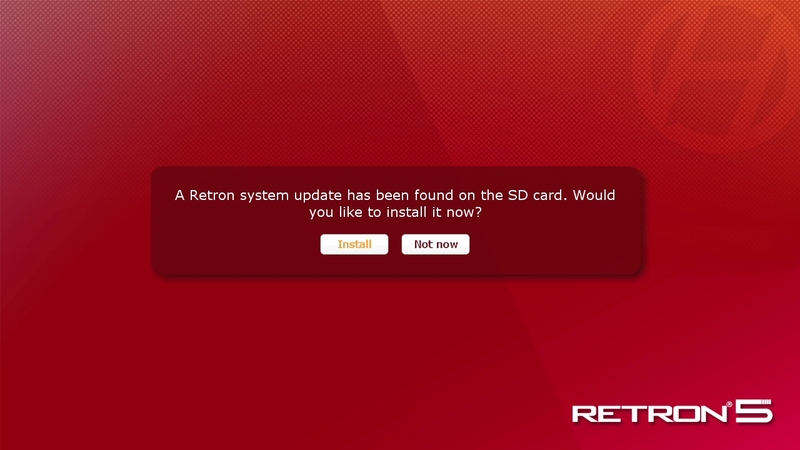 As the patch involves the system power up functionality it should be noted that there is some risk, although small, that the RetroN 5 could be rendered inoperable requiring repair.